It has been noted by several members in the South West that Mr Beer has vanished since his election as an MEP candidate. 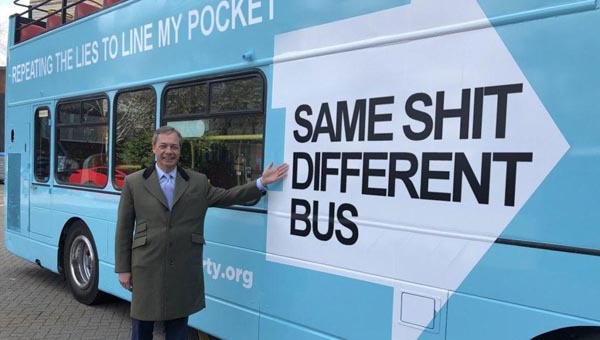 Indeed, he has failed to attend UKIP campaign meetings and was conspicuous by his absence at the South West’s last steering committee meeting. I can now reveal the reason for Mr Beer’s absence - he lives in South Africa! Would Mr Beer care to explain how he intends to represent the people of the South West Region from a residence in Southern Africa? Would he also care to explain why he failed to inform UKIP members in the South West that he did not live in the UK? Would he have been elected as an MEP candidate if UKIP members had been aware that his loyalty to Britain is so great that he chooses to live on another continent?